Please bring your own plates and cutlery to make this an environmentally friendly event. 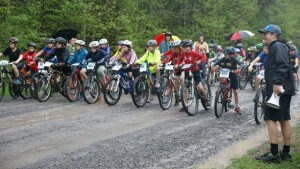 Preparations are underway for the 11th annual School Mountain Bike Challenge. Many are looking forward to having fun in the woods without snow! For 2015 the event has been renamed to the ‘Mountain Bike Challenge’. This name better reflects the challenge to yourself to get out and try a new activity – or to ride well and challenge your friends to try it with you. 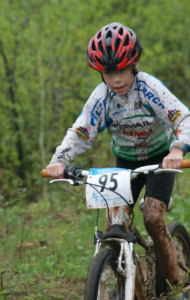 It is never too late to get into mountain biking – the coordinators didn’t until after they were in their 20s and others get in to it much later than that. 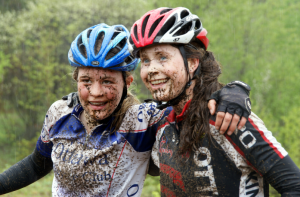 All students, teachers and parents are welcome to attend and become a part of the mountain bike community, which can last a lifetime. The event website still needs updating and another post will be sent in a few weeks with details. For now you can make preparations to attend on Friday May 15th. Parents if you would like to help run the event let the coordinators know (info below). Don’t miss out on this year’s fun.